It’s finally September! Yarn crafters everywhere crave the cooler temperatures for an opportunity to DIY some crochet trends for women. We love this unique plaid-like patterned poncho for fall this year! Ponchos are very ”in” this year, and this vibrant fringed accessory is a must have for any daring crocheter’s closet! It’s crocheted up in Imperial Yarn Native Twist, a 100% wool yarn that’s available in a selection of fashion forward shades from jewel tones to traditional monochromatics. Boot wearers need boot cuffs, and this lovely lacey creation by Tricia Dodge is just perfect. These cuffs fit calves from 11 – 14 inches, but this simple pattern can be easily adapted to fit wider or narrower calves. This classic hat will never go out of style! Using a simple pattern that’s accessible for beginners and some Berroco Vintage yarn, you too can have a hat that lasts through the ages. Using this chunky yarn, you’ll have a stylish new hat in no time! Fall is all about the layering garments, and this mesh crocheted top is a perfect choice in King Cole Merino Blend DK – Olive. Pair with a tank underneath and jeans or leggings, and you’ll be hitting the streets with style! What crochet trends will you be making this year? Tell us in the comments! 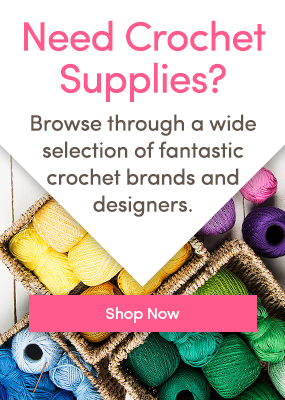 For more inspiration, fashion, and free patterns, follow LoveCrochet on Bloglovin’!